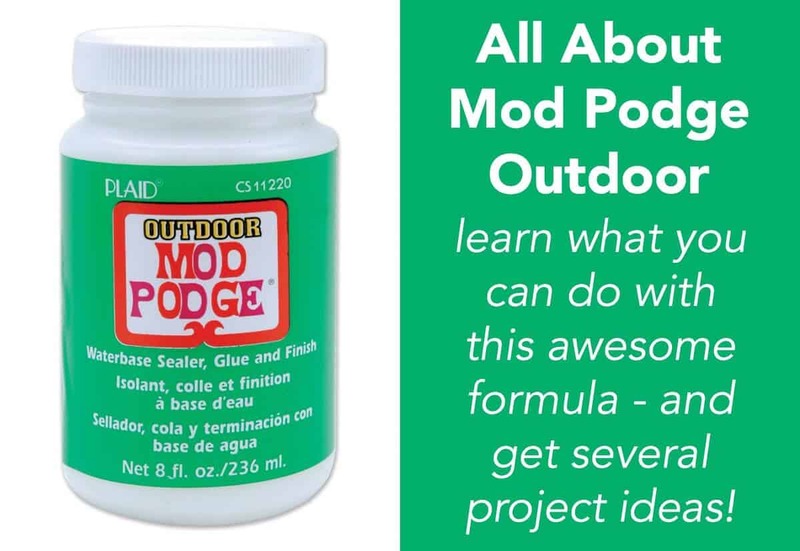 Learn all about the Mod Podge Outdoor formula! Find out what it is, how to use it, and see some unique DIY projects you can make. 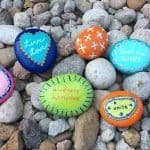 Outdoor Mod Podge is going to be your new favorite craft supply! HOWEVER – if you live in Seattle and your project is constantly rained on or you live in Arizona and the sun is beating down on your craft all the time, I suggest another sealer that is waterpoof and/or UV resistant on top. Because the formula is thicker, brushstrokes can be more obvious. To minimize them: use a soft bristled brush and sand between coats. To do this, apply the Mod Podge and let it dry an hour. Then use #0000 steel wool and lightly sand the entire surface. Do this between every coat. Now that I've shared the basics with you, let's move onto the FAQ! 1. 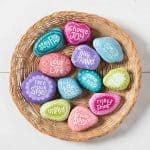 Will my Mod Podge outdoor project be waterproof? 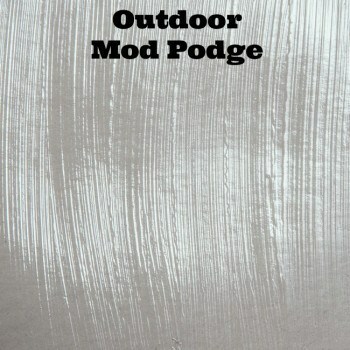 Outdoor Mod Podge is water resistant and is most durable when used on projects that are in a sheltered area. If your project is going to be constantly exposed to the elements like sun and rain, I recommend a brush on waterproof/UV sealer like this one. 2. Is this Mod Podge formula UV resistant? It is not. Your project will fade in the bright sun over time. 3. How long do I need to cure my Mod Podge Outdoor project before putting it outside? Let project cure completely in a dry room with 68 degree or higher temperature for 72 hours. 4. What type of brush should I use with Mod Podge Outdoor? A soft bristled brush is fine. You don't need anything special. 5. Which surfaces can I use this formula on? Wood, glass, terra cotta, tin, and anything porous. So yes, you can decorate your clay pots with this awesome formula! 6. 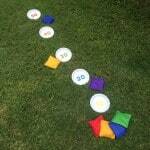 How do I use Outdoor Mod Podge with napkins? A light background works best. 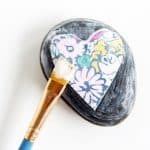 If you have a surface that is fairly dark, basecoat it first with your choice of FolkArt Outdoor or Multi-Surface acrylic paint. Cut the design out of the napkin, separate the layers and discard the two bottom white layers. Using your brush, apply a coat of Mod Podge over the design, allowing 15 – 30 minutes between coats. Let project dry inside at least 3 – 7 days before placing outdoors. 7. When applying paper to clay pots, how can I prevent water from leaking through and ruining my design? Basecoat the inside of the pot with FolkArt Outdoor or MultiSurface acrylic paint and coat in outdoor sealer to prevent water from leaking through. Honestly this is why I mostly use fabric on pots, because it doesn't ruin like paper. If you do want to use paper on your pot, I highly recommend coating the inside with these instructions. 8. Can I use this formula on shoes? Absolutely! This is a formula that people frequently use to decoupage shoes since it's highly water resistant. Just be sure to wipe your shoes off when you get home if you walk in puddles! You can also clean your shoes with a warm, wet cloth. 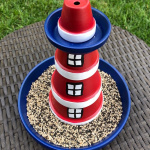 Are you ready for some project ideas using Mod Podge Outdoor? Click any of the images below. So happy to hear about this. My birdbaths made from terra cotta pots and painted would have benefited from it. They held up pretty good with no sealer because I did it know enough last summer. I have evolved. see like moer big crafts vieod web faecbook.com new craftstools moer hoilday soon free win web moer .